To inspire women to create and live their own definition of success in their work, relationships and family. The series is designed for women entrepreneurs who want to bring their work into the world AND make an impact. This is designed to inspire women to create and live their own definition of success in their work, relationships, and family. Each interview will offer something women can take away that will support them in living more joy, presence, and their unique definition of success. We'll share stories of women who have used their feelings of stress, anxiety or guilt as a guide to discover what was needed and what that path looked like for them. We will explore feminine leadership and what it takes to create our own definition of success. 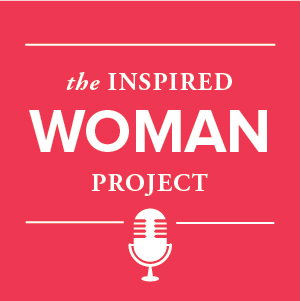 Join us for a new episode of The Inspired Woman Project each week!